We are so ‘K’ today! We posted about K-Fashion earlier and now K-Beauty. Nowadays we can’t escape from the Korean Wave be it K-Drama, K-Pop, K-Food, K-Life and what else hah? 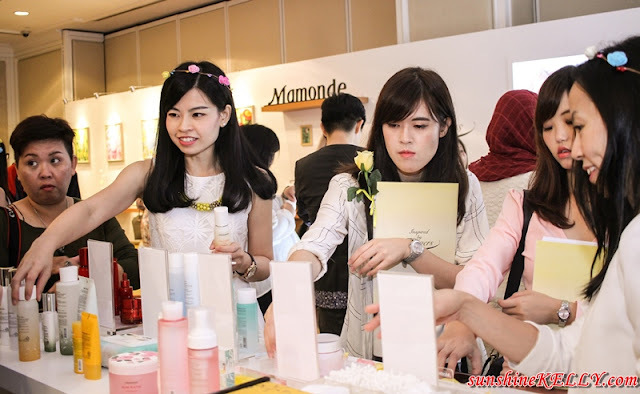 Here is another Korean Wave is coming jeng jeng jeng... Mamonde products which is fully imported from South Korea is set to reach Malaysian shores in August 2016 with the opening of its first beauty counter in AEON Bandar Utama. Mamonde is coming to Malaysia. So mark your calendar and perhaps you can start checking what products you wish to check out try. AmorePacific Malaysia held a launch preview of its latest brand, Mamonde (french word for ‘My World’) in Kuala Lumpur recently. Mamonde is the leading global masstige skincare and makeup brand that offers a wide array of skincare, bodycare and makeup products to suit every woman’s daily needs. Price range of its products is expected to be between RM6 -RM169. Let’s enter the ‘World of Mamonde’ the 5 key flowers used in Mamonde formulation, flower science technology and floral properties. Mamonde brings women’s beauty into a bloom by instilling the wisdom of nature found in the flowers’ vitality into their products. It aspires to provide skincare solutions for every woman so that they may radiate in blossoming beauty. 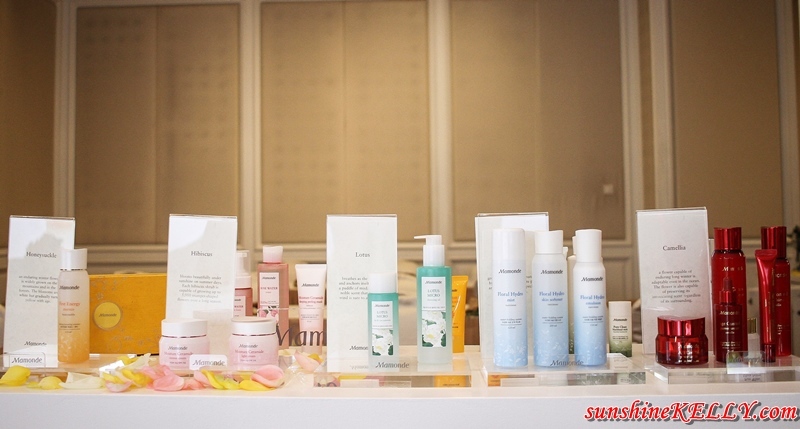 Among Mamonde’s star products include The First Energy Essence/Serum, Cover Powder Cushion, Age Control Power Eye Cream, Moisture Ceramide Cream, Lotus Micro Cleansing Foam and Floral Hydro Cream. Apart from its country of origin South Korea, Mamonde has also been launched in the U.S, China, Thailand and Malaysia next. 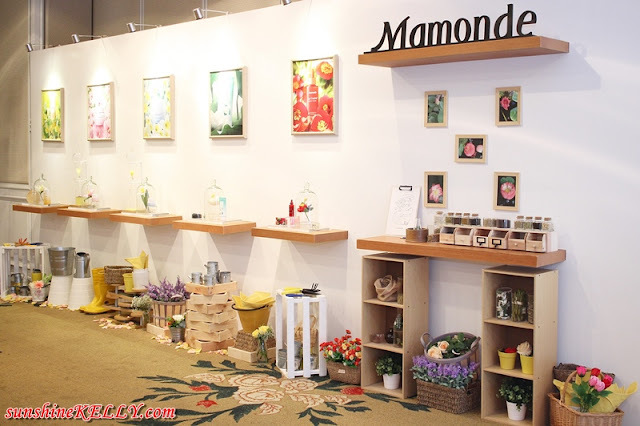 Mamonde is “Inspired by Flowers”. The flower, a sign of beauty and a symbol of grace; is also magical with its ability to speak to the soul in a way which words cannot express. Flowers contain moisturizing and skin-nourishing ingredients that not only provide nourishment to the skin but also moisturize and balance oil production to maintain a vibrant skin. AmorePacific named its innovation Mamonde, a brand that inspires feminine beauty with flowers through its flower science technology. The Honeysuckle and the Evening Primrose both have vitalizing properties that help maintain healthy skin. The Honeysuckle is an absorbent plant with its ability to absorb nutrition from barren soil to deliver nutrients fast to vital parts of its plant. Similarly for the skin, the Honeysuckle delivers nutrients found in the flower to the skin for a smoother and firmer skin that is vitalized from within. Another floral plant with amazing vitalizing property is the Evening Primrose. It contains high concentration of fatty acid and other nutrients that is essential to improve cell structure and skin elasticity. 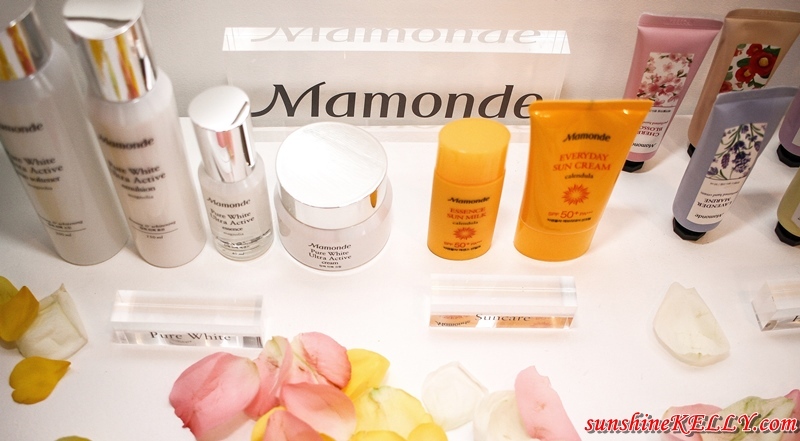 Mamonde uses Demask Rose, Hibiscus, Narcissus and Peach Blossoms in its hydrating and moisturising range. The Rose water is extracted with super-high pressure to preserve its amazing properties of soothing and moisturising the skin. The Hibiscus, Narcissus and Peach Blossom on the other hand, contain natural hydrators and ceramide that offers flawless hydration. The Narcissus offers excellent moisturising benefits of up to 24 hours. The Lotus Flower has healing properties that has long been used in ayurvedic medicine. It contains linoleic acide, protein, phosphorus, iron and vitamins B and C. It is often used on the face for it’s soothing and cooling properties. Apart from that it also soothes sensitive skin that is exposed to micro dust while at the same time hydrates and comforts the skin. The Heartleaf Houttuynia and Sage are perfect for regulating sebum production and especially for the oily skin. Extracts of the Heartleaf Hottuynia also helps tighten the pores that have enlarged and that have lost resilience. It offers instant contraction and it is also cooling to the skin. I just can't wait for Mamonde to come here. I want to get hold of their Age Control Series. Fall in love with Cammelia. I love everything florals! Always smell so nice and safe to use! I really cannot wait to get my hands on some of these products.. they look so great. I love all these products! I haven't try it yet but can't wait to try it =D I love the scent of flowers. I am trying it soon too! I am so excited, will review their products too! Quite a huge range I must say. Is it available in SG also? Is this a new brand ? Would to love to try them out if available in Singapore too. I've not heard of Mamonde before. Looks like I have another place to check out when I am in Bandar Utama. i think consumers nowadays are spoilt by choices! we are so lucky! First time heard about this brand and thanks for sharing. Although I didn't use..
mamonde.. cute name. :) .. another pretty pretty product. It's a good brand .Carry out lots of effective skin care .Suitable for each different skin type .